Tuna salad that's low carb and easy to make. 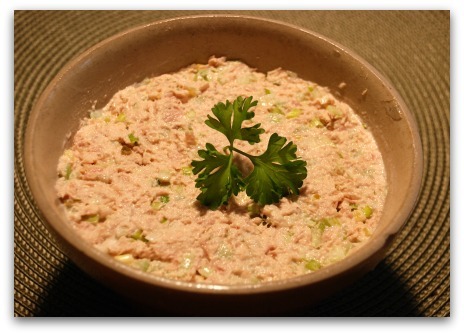 Because I love tuna salad, I just had to share my recipe with you. Drain the oil from the tuna using a colander. Place tuna in a medium bowl and break it up with a fork. Let the mixture chill to allow the flavors to meld. Let's go from this Tuna Salad page back to the Home page.